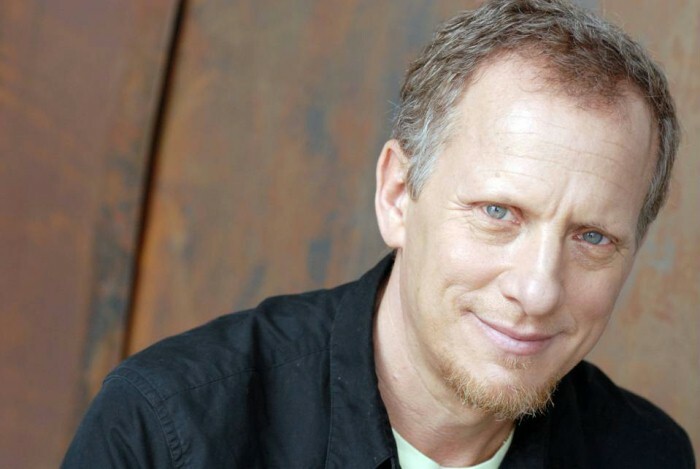 Rob Epstein was born today, April 6, in 1956. He is a film director, producer, writer, and editor. Epstein has won two Academy Awards for Best Documentary Feature, for the films The Times of Harvey Milk and Common Threads: Stories from the Quilt. In 1987, Epstein and his filmmaking partner Jeffrey Friedman founded Telling Pictures, a production company and team known for "groundbreaking feature documentaries." He also produced the documentary, The Celluloid Closet in 1995, about the various Hollywood screen depictions of LGBTQ people the attitudes behind them throughout the history of North American film. In his 2000 film, Paragraph 175, Historian Klaus Müller interviewed survivors of the Nazi persecution of homosexuals because of the German Penal Code of 1871, Paragraph 175. Epstein has transitioned from non-fiction documentaries into scripted narratives, producing such biopics as Howl, his award-winning film about Allen Ginsberg’s controversial poem by the same name (starring James Franco), and Lovelace, the story about the life and trials of pornographic superstar Linda Lovelace (starring Amanda Seyfried). He is an out gay man. His latest film is called The Gospel of Eureka (2018). In it, "Love, faith, and civil rights collide in the south as evangelical Christians and drag queens step into the spotlight to explore the meaning of belief. Gospel drag shows and passion plays set the stage for one hell of a show." Epstein is the currently the co-chair of the Film Program at California College of the Arts in San Francisco and Oakland, California.